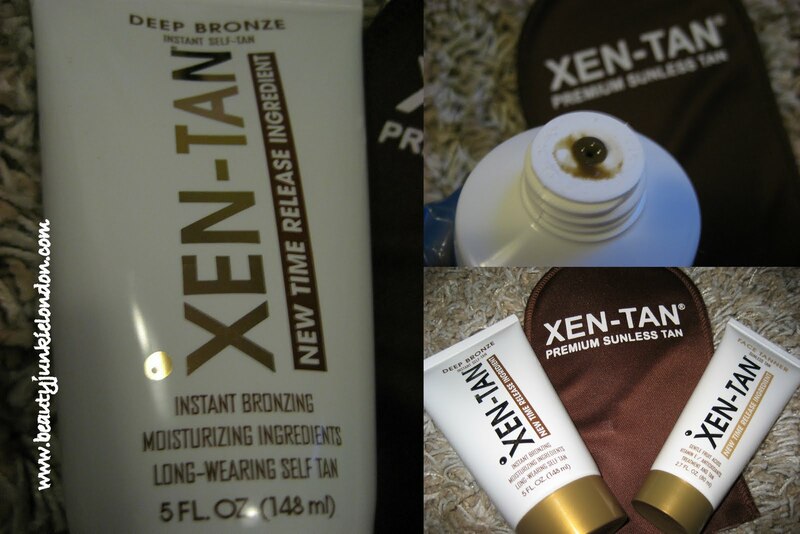 So here goes the full review of another product that I have been twittering away about recently – Xen Tan. I was sent Xen Tan to test out after the PR contacted me via Twitter, I had heard a lot of raves about it in blog land so was quite excited to give it a try. I’m something of a sporadic fake tanner – I love having a tan, but I’m far too lazy to do it on such a regular basis so I tend to go from pale to tanned on an irregular but fairly frequent basis. Over the years I have tried and tested all sorts of sprays/mousse/liquid/cream tanners so have a pretty good idea of what I like and don’t like, but I’m always keen to try something new. I was sent the Deep Bronze formula, the face tanner and the Xen Tan mitt. First impressions are of the smell, it isn’t the normal fake-tan smell but more of a cocoa/chocolate smell but with something that smells a bit artificial/plastic to me. The face tan bizarrely reminds me of Thai curry, I know, strange – but not unpleasant. I’m probably the only one who finds this, but there we go. I also found that after a couple of hours the usual fake-tan smell does seem to come through. 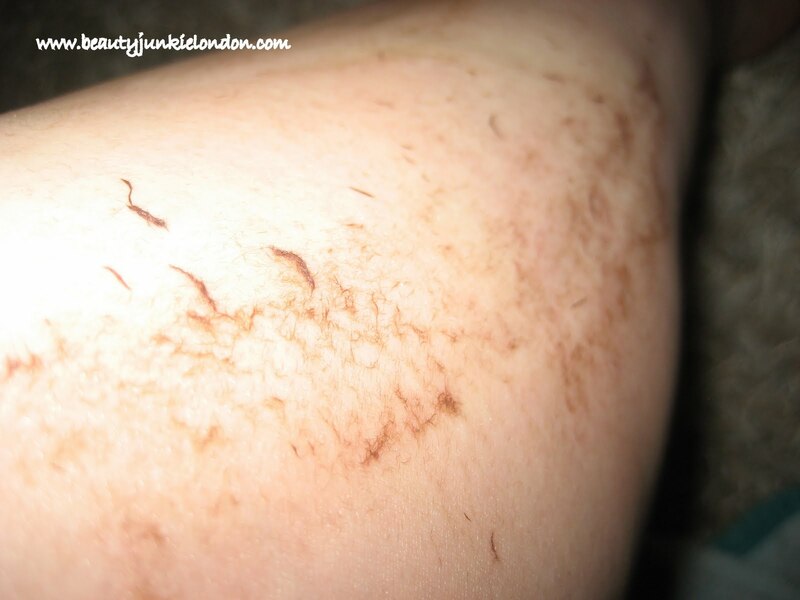 I have found this with most fake tanners that claim not to smell of fake tan – they do tend to come through after a while. It made the guide colour go all flakey and it very hard to keep track of where it was being applied. So less than half a leg in, I switched to using latex-gloved hands to continue the application. This was better, but still not great. I found the flaking thing still happened when trying to blend away streaks. The back of the tube says that the colour gives an ‘immediate boost’, which is partly true as the guide colour (similar olive-green-brown tint to St Tropez) does give some colour, but not even and streak free as I would be willing to venture out in public with. So this makes it very much a night-time application only product for me. Although the face tan isn’t tinted so this could be used any time. Hard work over, it was then just the waiting game for the colour to develop. So next morning after washing off the guide colour in the shower I was left to inspect the results. The colour certainly is dark, especially for someone as naturally pale as me. But I would say it was still natural – although when my boyfriend for the first time that day, he kindly told me that he thought I looked orange. I’ll admit, the colour is dark but I don’t think it’s orange. 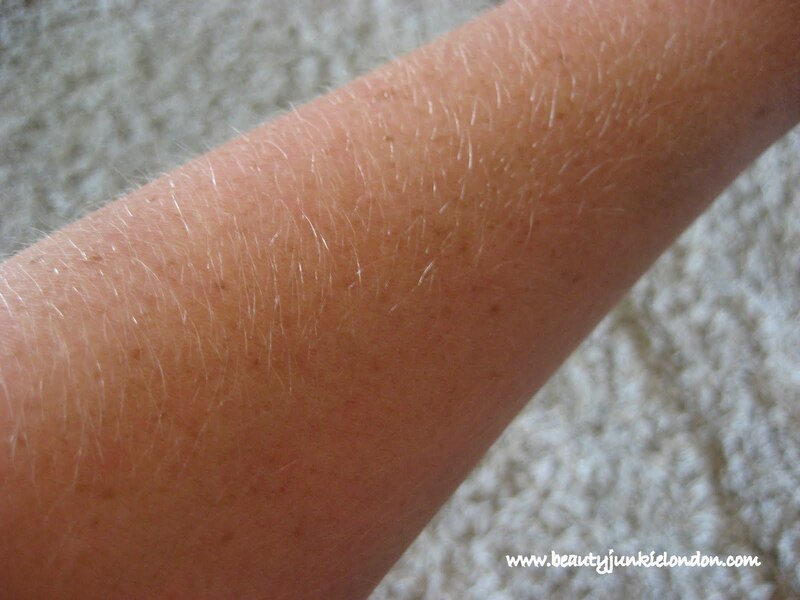 The above is a picture of my arm, post-application. I think it’s a good colour – a nice, healthy tan but not un-naturally dark for me. The picture below is a before and after face shot. I apologise for the strange squinty eye-ed look on my face. But this should let you decide for yourself on the colour result. The ‘before’ picture was taken on Sunday pre-fake tan (and used for the Trisha McEvoy Mascara Review) and the ‘after’ was on Wednesday, post-Xen Tan. My overall view of the Xen Tan Deep Bronze is that it’s a lovely dark colour, but I am not sold on the application. As it’s quite difficult to rub in without getting the flaky effect it’s just a bit too effort intensive for my liking. That said, the face tan isn’t tinted like the body version – making it far more straight forward to apply and there are other formulation options including mousse and mist so there are options to potentially avoid the application issues that I don’t like. But based on this experience I’m not going to be rushing out to buy Xen Tan Deep Bronze again. Xen Tan Deep Bronze costs £19.95 and the face tan costs £15.95 for more info go to the Xen Tan Website. I was sent the products from Xen Tan for review purposes. All opinions are honest and impartial, regardless. Next Post SATC2: No spoilers, promise! Great colour but fiddly application sounds annoying. What are the best of the tans you’ve tried? The colour is nice on you but the application looks like a nightmare. 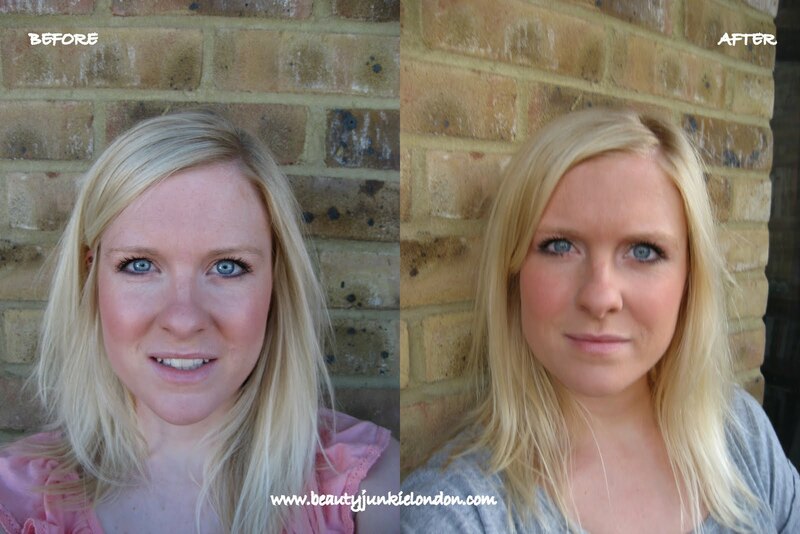 I have had one experience with xen tan and it was a nightmare – but it was a spray tan though. I am glad that you have also said that after a few hours it still smells like normal fake tan, no other review I have seen seemed to mention that but it was something I found also!!! I don’t have one outstanding fave, as I like different ones for different reasons. Famous Dave’s Mousse is great, lovely dark colour and easy to apply. Garnier or Aussie spray are both good for quick and easy application and HeShi is good for slightly harder but hard to get wrong application. St Tropez is also pretty hard to beat for good colour – the mousse is my fave formula from them, or the daily tan. Phew, that’s a lot of tans that I like! I have been using xen tan for months and it’s never gone flaky, I think it’s the best and I’ve used a few. I just bought this, thanks for the advice ladies. easy to ruin or severely impair a character in Champions Online. you and your spouse than finding more moments for your marital relationship. You want people talking about your brand and spreading the word. All you have to do is fill out a few forms and provide content. feed of updates and prominent buttons to click to link to your business website. When someone likes you on Facebook or follows you on Twitter, they’re giving you access to their time. Sometimes malicious rumors are spread via social networking sites which can hurt not just an individual but a group as well. have to be eliminated, as they prevent Ketosis.